Here’s a video made specially for Rosh Hashana by the folks at G-dcast called “Shofar Callin'”; Storytelling by Prodezra Beats, A Chabad Baal T’shuva from Savannah, GA. Prodezra Beats, an independent artist, broke out big on the scene when he produced the track for “Change” with Y-Love & DeScribe, released on Shemspeed. Marking Holocaust Remembrance Day, Yad Vashem (the Holocaust martyrs’ and heroes’ remembrance authority in Israel) uploaded new material to their website. The department of Computer Science at the College of Management produced this special Seder for Passover. Author israelradioPosted on April 8, 2009 Categories IsraelRadio Updates1 Comment on Pesach Sameah! 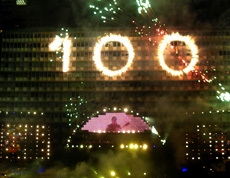 The 18th Maccabiah games will take place on July 12-23 , 2009. The 18th Maccabiah is going to be the largest Maccabiah ever. About 5,000 Jewish athletes are supposed to arrive from abroad and they will join to 2,000 Israeli athletes, which will make the Maccabiah the world’s third largest sporting event after the Olympic games and the Universiada. The J.L.TV network will broadcast for the first time the Maccabiah games live to the USA in a $500,000 estimated contract. Over the past 60 years, thanks to efficient water management and intensive R&D, Israel has been successfully overcoming water scarcity. This led to the development of many companies that introduced innovative water technology products. Did you know for example that Israel, with a 75% water recycling rate, is the world’s #1 water recycler while the second largest water recycler is Spain with a rate of 12%. 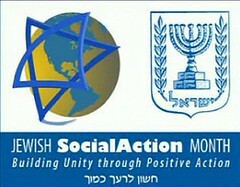 Jewish Social Action Month (JSAM) is an initiative of KolDor, a global network of young Jewish activists operating around the world, the Office of the Prime Minister of Israel and socialaction.com to promote both social action and Jewish Peoplehood. In just three years since its launch, JSAM has evoked a remarkable response. Political support has come from the Presidents of both Israel and the United States of America, British parliamentarians, US senators and congressmen, Israeli Knesset members and others. The bright minds of Taglit-Birthright & JewishRobot.com made this new funny video greeting for Rosh Hashana, featuring the presidential candidates. Toya Brawley on Free Trips to Israel! juli chokler on Pesach Sameah! judy on Free Trips to Israel!